In recent decades, one of South America’s greatest conservation successes has been the comeback of the wild vicuña (pictured above), the rare camelid that’s a close relative of the equally wild guanaco and the domestic llama and alpaca. Wild, however, does not mean fierce and, more recently according to the Los Angeles Times, poachers have begun to take a serious toll on these gentle and approachable creatures. 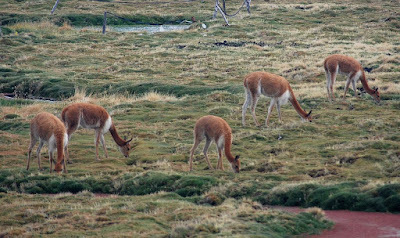 When I first traveled to Chile, in the late 1970s, there were only about 1,000 vicuñas in Parque Nacional Lauca (pictured above), which abuts the Bolivian border in the high Andes, east of the city of Arica. That number has risen as high as 17,000, but the Times article cites a figure of only 13,000. When I lived there for nearly a year in the early 1980s, while doing research for my M.A. thesis in Geography at Berkeley, sighting solitary vicuñas or troops of them was always a thrill as I traveled the high plains, whether riding in a bus, hiking, or riding a mule. Still, at more 4,000 meters (14,000 feet) above sea level, this is a thinly populated area where a handful of rangers cannot monitor the herds along a porous border – when I lived there, Aymará Indian families regularly crossed to and back from Bolivia with no regard for immigration formalities. Since the vicuña’s fine wool sells for roughly US$1,000 per kilo – on the black market – it’s become difficult to control ruthless poachers who shoot to kill and then skin the animals before selling the hides and wool to smugglers who ship them out of the country. Park rangers are unarmed and, earlier this year, poachers killed two Carabineros police officers who had stopped them at a roadblock near Arica. The vicuñas are not the only victims. Chile and other countries now have programs that allow highland communities to manage the herds sustainably, trapping and shearing them at regular intervals. That’s become more difficult, less profitable, and potentially risky for those who continue to do so. 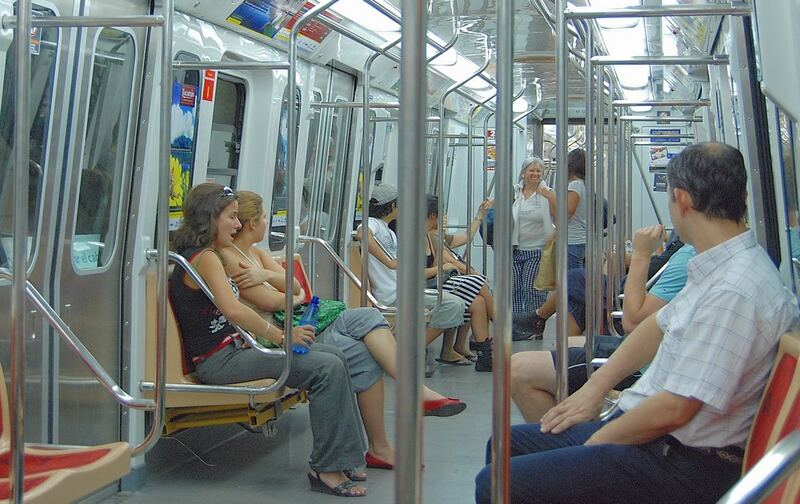 Will Buenos Aires Subway Expand Operating Hours? Buenos Aires has its shortcomings, but one thing I’ve always appreciated is the ready availability of public transportation. It’s still a pleasant surprise to step onto a downtown street at 3 a.m. and wait just a few minutes for a city bus that will take me back to my Palermo apartment. The fare is negligible, and the buses run all night (though with lesser frequency than they do in the daytime). There is one exception to the rule, though, and that’s the fact that the underground Subte (pictured above and below) shuts down so early. In a 24-hour town – I once hyperbolized that, by contrast, “New York is the city that takes a nap” – the quickest and most efficient means of getting across town shuts down at 11 p.m. nightly and at 10 p.m. on Sundays and holidays. It’s almost always my first choice for getting around town (though my Argentine wife finds underground travel disorienting and prefers surface streets). Those limited hours may soon change, though. 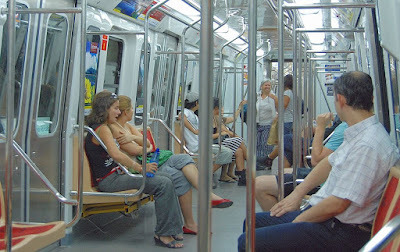 Earlier this week, city ombudsman Alejandro Amor introduced legislation to extend the Subte’s hours: should it take effect, the system would operate from 5:30 a.m. to 1:30 a.m. Monday through Thursday; Fridays, Saturdays and holidays to 3 a.m., and Sundays from 7 a.m. to midnight. An accompanying press release stated that its operating hours were among the shortest of any major city in the world – New York, by contrast, has 24-hour service. 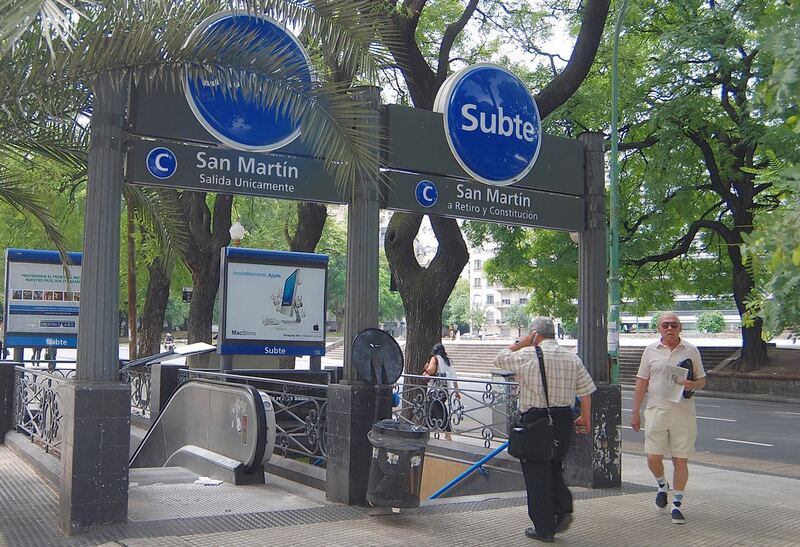 In neighboring Chile, the Metro de Santiago keeps somewhat longer hours than the Subte on a more extensive system. 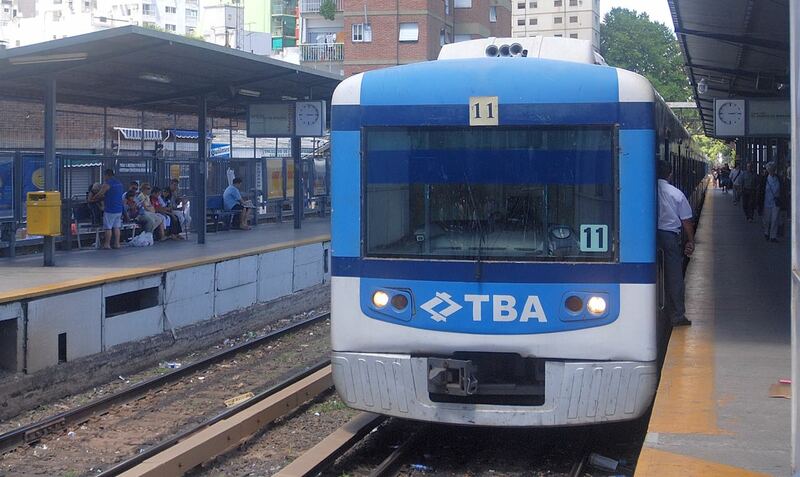 One objection, raised by the private contractor Metrovías and city mayor Mauricio Macri, is that fares would have to rise to meet additional operating expenses. The measure disputes that contention but, in any event, the Subte’s fares are among the world’s lowest for a system of its kind. 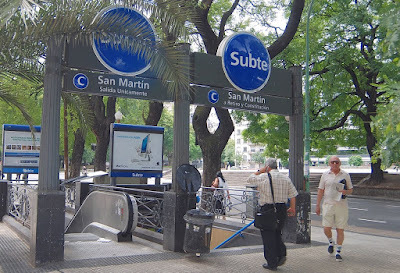 Macri, a fiscal conservative who will be a candidate for the Argentine presidency this coming October, may prefer not to raise fares, but it’s hard to imagine that it would cost him many votes – city voters dislike the ruling Peronist party faction and many would like to see longer Subte hours. If higher fares could help pay for expanding the system, though, that would be worth it. 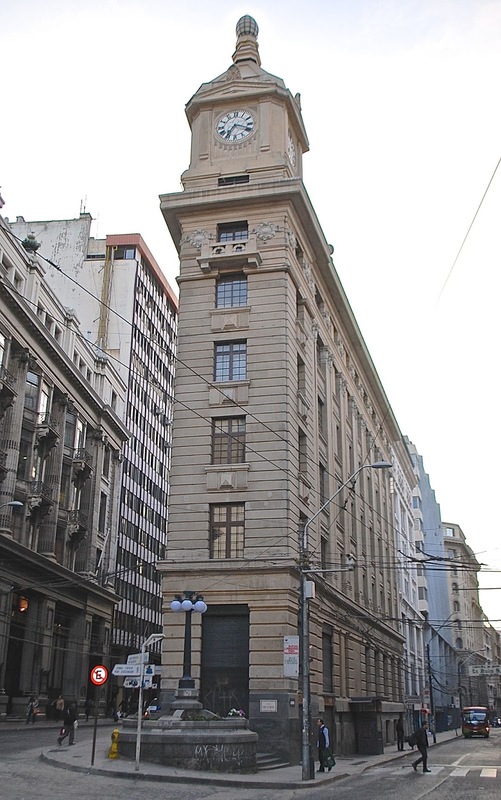 Many parts of the city remain underserved, and there no are connections whatsoever to suburbs beyond the Argentine capital’s boundaries. This would be roughly comparable to limiting the Washington Metro to the District of Columbia, ignoring the Maryland and Virginia suburbs. There is commuter train (pictured above) service from adjacent parts of Buenos Aires province to downtown BA, but it’s slower, less reliable, and in some cases downright dangerous. In less than a week, the northern hemisphere’s summer solstice will bring the longest day of the year – in Northern California, where I am spending the season, sunrise will occur at 5:47 a.m. Pacific Daylight Time and sunset at 8:34 p.m. A hemisphere away in Chile, though, things will be very different despite the current government’s measure to institute daylight savings time throughout the year – presumably to reduce energy consumption in a country that still imports nearly all of its fossil fuels. Whether daylight savings time is actually an energy saving measure is debatable, but the general topic is interesting here. 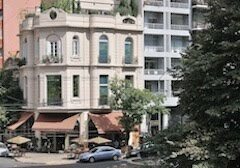 Personally, while traveling in Chile, I’ve always preferred daylight savings because I could get breakfast earlier, with more daylight to explore the cities and the countryside (some accommodations will not serve breakfast until 9 a.m.) while researching my books. Also, because of the country’s string-bean geography, it consists of a single time zone (with one notable exception), so that daylight hours vary dramatically in different parts of the country. Traditionally, daylight savings started in December and ended in March (in time for the new school year), but it’s gradually expanded. 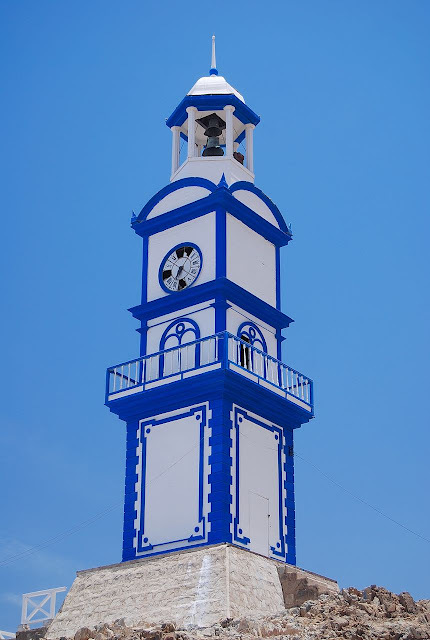 Now, with uniform time throughout the year, this morning’s sunrise in the coastal city of Valparaíso – whose landmark clock tower the Reloj Turri appears above – was at 8:46 a.m., with sunset at 6:47 p.m. Valparaíso’s latitude is roughly comparable to that of San Francisco. 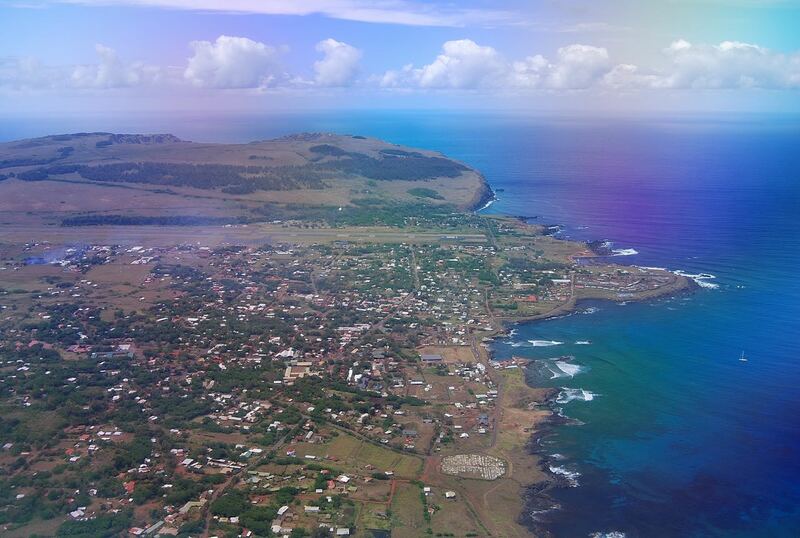 Farther north, though, it’s a rather different story because, in subtropical latitudes far closer to the Equator, the length of day varies little throughout the year. Today’s sunrise at the remote settlement of Pisagua – a tiny seaside community that was once a thriving nitrate port – was at 8:11 a.m., with sunset at 7:10 p.m. The structure above is Pisagua’s own historic clock tower, though the clock itself no longer functions. By contrast, in the southern city of Punta Arenas, this morning’s sunrise did not take place until 9:55 a.m., with sunset at 5:33 p.m. At a latitude comparable to British Columbia’s Moresby Island, Punta Arenas enjoys long summer days but, at this time of year, children are arriving at school well before daybreak. 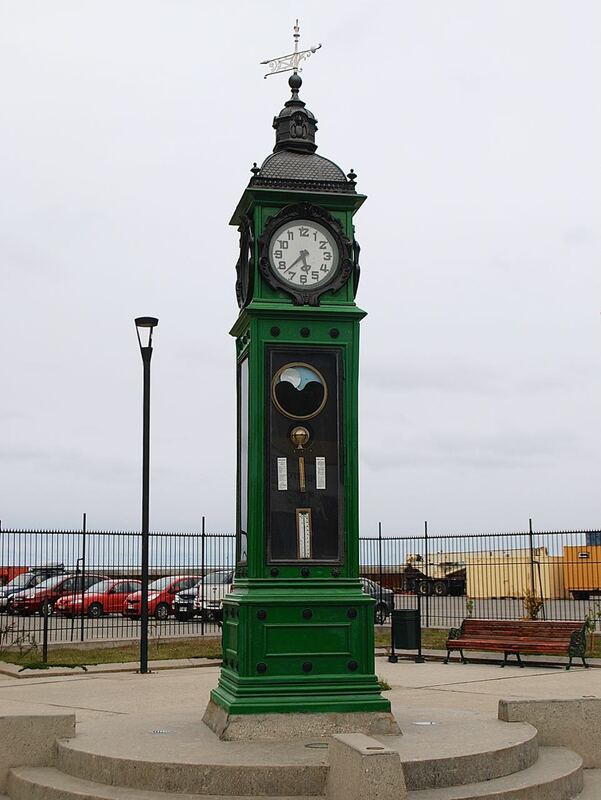 Today, the modest clock outside the city’s Muelle Prat commercial pier is probably covered with snow. 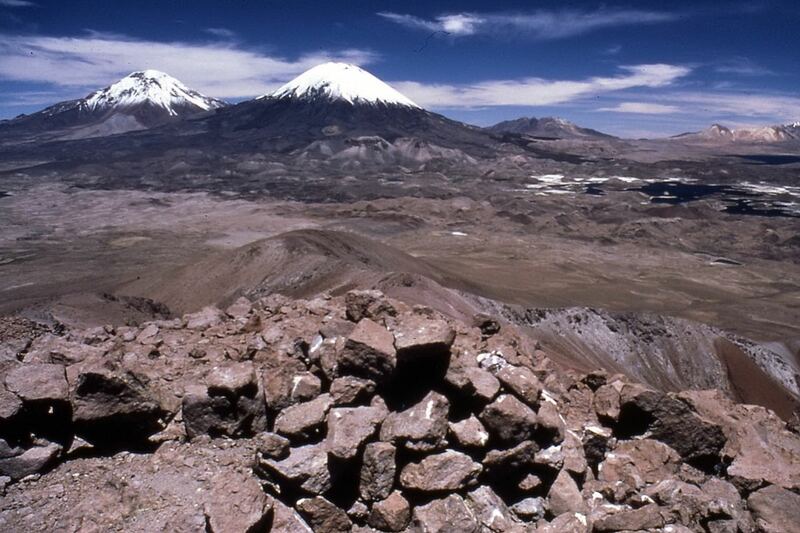 For most visitors, Chile’s time change has one big advantage. I’ve written before on the jetlag issue when traveling to southernmost South America, and this changes things a bit, for the better. Effectively, Argentina and Chile are now in the same time zone – four hours behind GMT or UTC – which will simplify scheduling on trips that require border crossings. It also means that, when most of the United States is on daylight savings time from early March until November, Argentina and Chile will be on the same schedule at the US East Coast. Though it may still be a long overnight flight from anywhere in the US, that eliminates or at least reduces the jetlag problem. Of course, there remains that one exception I mentioned above. 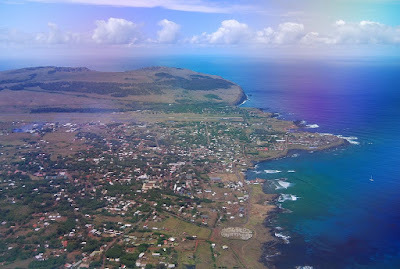 Chile’s Pacific outlier of Easter Island (pictured above) is five hours and two times zones west of the South American mainland. Early last year, I made one of the first voyages on Navimag’s new Ferry Edén which, at that time, I considered to be work-in-progress. 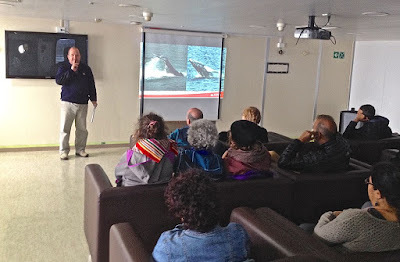 Rushed into service late in the season, the vessel – a Mediterranean French ferry that later connected Baja California to the Mexican mainland – was sailing the fjords and open oceans of southernmost Chile for the first time, without any refitting. It gave the impression of improvisation, but the voyage went smoothly nevertheless. 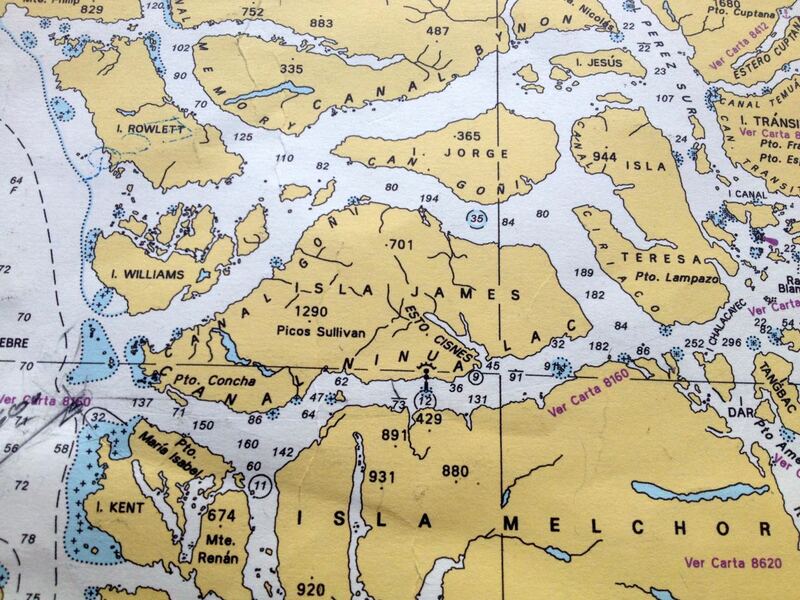 Last year, I made the northbound voyage from Puerto Natales to Puerto Montt; this year I did it southbound. In the interim, over the austral winter, Navimag had time to refurbish the facilities. 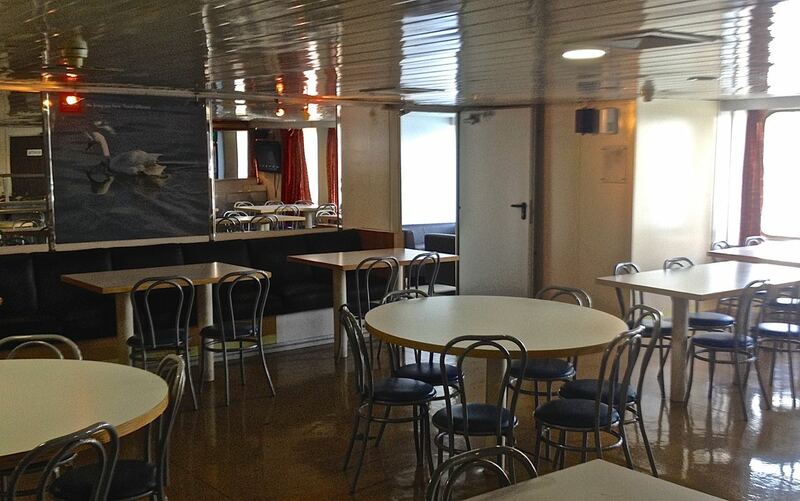 The cafeteria (pictured above) is much the same, still requiring two shifts to accommodate everybody for lunch or dinner when the ship is full, but newly installed windows offer improved luminosity and visibility over their weathered predecessors. The big change is the subdivided video lounge, where the passenger orientation and lectures take place – half still consists of a rather dark room with reclining butacas for watching movies, but the other half (pictured below) is more luminous, with new sofa-style seating that makes it an attractive place to socialize. 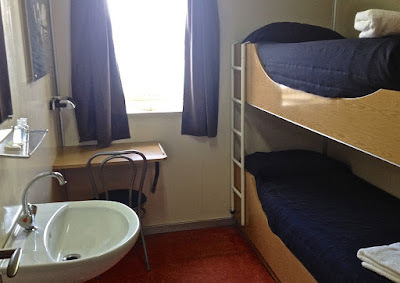 Unlike its predecessor Evangelistas, the Edén has no sprawling dormitory accommodations; it’s all reconditioned cabins, with two to three bunks each; some of those bunks lie at right angles to each other, others opposite each other, others atop each other. The most expensive cabins have private baths while others have external baths, but all of them have sinks and mirrors. They all have brighter colors, new carpeting and small built-in desks with electrical outlets (though some of those outlets have awkward access). There is no WiFi on board, and only a few spots en route provide cellular access. The menu remains what I would call quality cafeteria food, with fish the best choice. 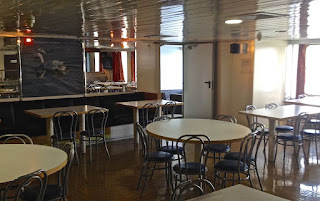 One change is that the Edén is alcohol-free – unlike the Evangelistas, which had a bar with wine, beer and pisco sours. 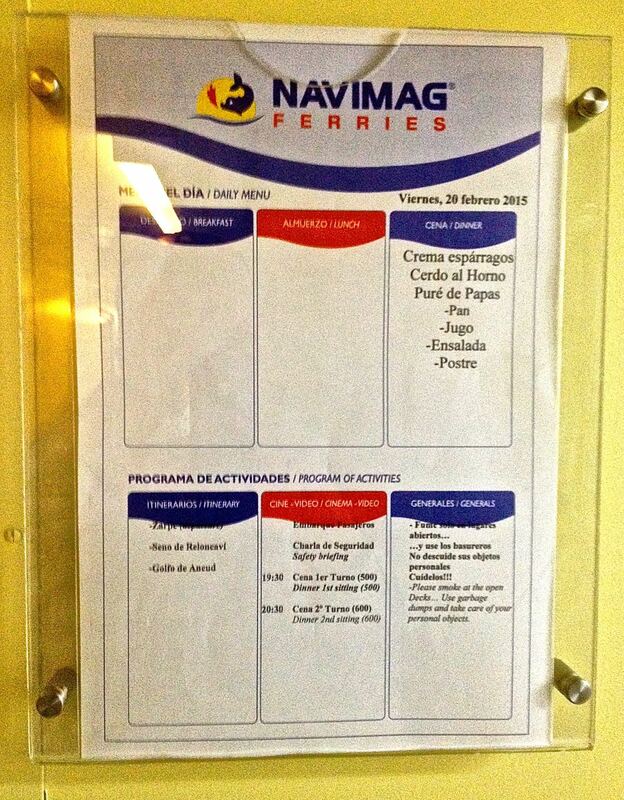 Presumably you can bring your own if you’re discreet – they’re not searching baggage - but the crew told me there had been occasional incidents (though I’ve never seen anything of the kind on my dozen or so voyages on this route). One notable change is that, unlike the Evangelistas, the southbound Edén heads out to the open sea earlier, rather than staying in the sheltered interior channels. On my voyage, we turned west into the open sea via the Canal Ninualac, on the south side of Isla James where the sea became rough enough that a few people felt quickly queasy, but nobody apparently “fed the fish.” Farther south, the crossing of the notorious Golfo de Penas was fairly uneventful – rather like being rocked in your mother’s arms. 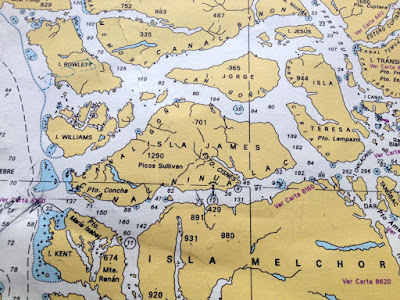 The down side to spending more time on the open sea is that the coastal scenery’s not quite so inspiring as it is when navigating the inland sea, which offers islands and mountains on both sides of the ship.